Railpictures.ca - Paul Santos Photo: A longtime Vaughan Intermodal Yard unit in it’s final years, SOO SD40-2 769 in storage before it disappeared from the yard. | Railpictures.ca – Canadian Railway Photography – photographie ferroviaire Canadienne. 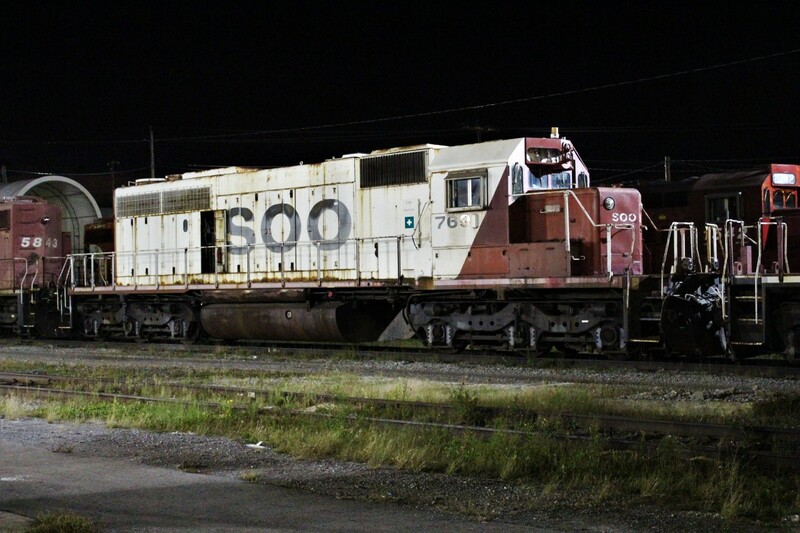 Caption: A longtime Vaughan Intermodal Yard unit in it's final years, SOO SD40-2 769 in storage before it disappeared from the yard.